Asda usually keep their Sale page up all year round, with new items being added to the sale every few days. When the official sales start, they seem to add a lot more items. See my tips below on how to get the best deals! I think all parents know how expensive it can be getting ready for a little one (or even with a newborn or toddler!) so anything that helps save some money is fantastic. The baby sale is usually filled with many items from the previous baby event. Items are occasionally reduced in stores too but the selection is usually very limited after the Baby Event ends. Before the sale officially begins, sale items are usually reduced but not added to the official ‘Sale’ page. You can definitely get some of the best bargains before the sale has even officially started! 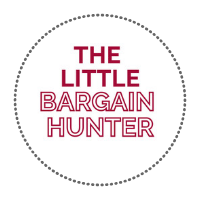 The best way to do this is to search through the individual categories within the Baby section and sort by price ‘Low to High’. I usually search by brand (such a ‘Baby bedding’) as it can be a little quicker. The months below is when Asda have launched their official ‘sale’. It’s safe to say that the sales happen quite regularly!